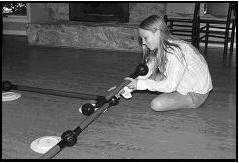 Students will sink as many spheres into the pockets using the pool stick. 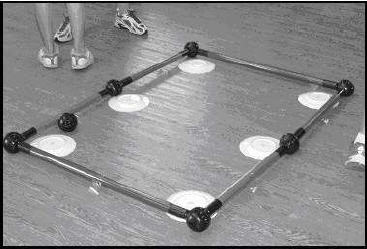 Construct a pool table using Toobeez. Tape the tubes to the floor so they do not move during the game. Place the plates upside-down to serve as pool pockets. Reserve two 24” tubes to serve as pool sticks. Challenge: Students will sink as many spheres into the pockets using the pool stick. 3. 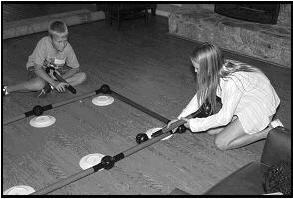 The game is similar to billiards and will be played on the floor while on their knees or stomach. 4. In pairs, students will take turns hitting the spheres into the pockets. 5. If a student gets a sphere into a pocket, one point is awarded and that student receives another turn. 6. Players will keep score of their own points. Why was watching the pathway of the ball important? What did you find challenging about this activity? How did you solve the problem of getting the sphere into the hole? Have the students use smaller balls or a smaller pool stick for the activity. 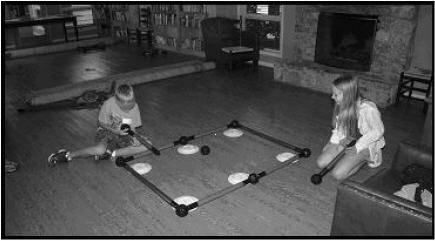 Use plates of various sizes to increase the challenge of this activity.